American Career College is a private, for profit vocational college that specializes in health care training programs. It was founded by David Pyle in 1978. American Career College offers both Diploma and Associate Degree programs through five campuses in the Los Angeles metro area. American Career College's campuses in Los Angeles, Orange County, Ontario, Long Beach and Lynwood are accredited by Accrediting Bureau of Health Education Schools (ABHES). American Career College has five campuses in Southern California. The 30,000-square-foot (2,800 m2) Los Angeles campus is located at 4021 Rosewood Ave. in Los Angeles, California. 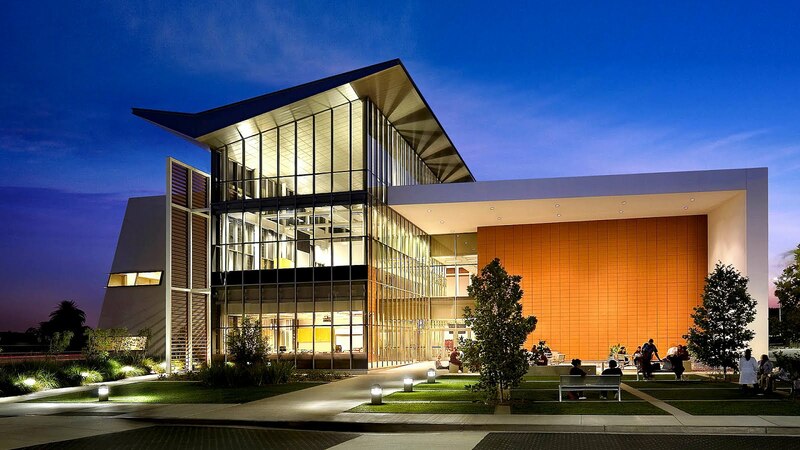 The Orange County campus is located at 1200 North Magnolia Ave. in Anaheim, California. This campus is 21,000 square feet (2,000 m2). The Ontario campus is located at 3130 East Sedona Court in Ontario, California and is 64,000 square feet (5,900 m2). The Long Beach campus is located at 236 E. 3rd Street in Long Beach, California. The ACC at St. Francis campus is located at 3680 E. Imperial Highway in Lynwood, California. All campuses include classrooms, computer labs, and laboratory spaces. American Career College's campuses in Los Angeles, Orange County, Ontario, Long Beachand Lynwood are accredited by the Accrediting Bureau of Health Education Schools (ABHES). The Pharmacy Technician program is accredited by the American Society of Health Systems Pharmacists (ASHP). The Vocational Nursing program is approved by the California Board of Vocational Nurse and Psychiatric Technicians (BVNPT). The Associate of Occupational Science in Surgical Technology program is accredited by the Commission on Accreditation of Allied Health Education Programs (CAAHEP) upon the recommendation of the Accreditation Review Committee on Education in Surgical Technology at the Los Angeles and Orange County campuses. The Associate of Occupational Science in Respiratory Therapy program at the Orange County Campus is accredited by the Committee on Accreditation for Respiratory Care (CoARC). The Respiratory Therapy program at the Ontario campus holds Provisional Accreditation from the Commission on Accreditation for Respiratory Care (www.coarc.com). Both programs are recognized by the National Board for Respiratory Care (NBRC) toward eligibility to the Respiratory Care Credentialing Examination(s). Enrolled students completing the program under Provisional Accreditation are considered graduates of a CoARC accredited program. The Dental Assisting program is approved by the Dental Board of California. The Associate of Occupational Science in Health Information Technology program is accredited by the Commission on Accreditation for Health Informatics and Information Management Education (CAHIIM). American Career College is also a member of the California Association of Private Postsecondary Schools (CAPPS). American Career College was founded by David Pyle in 1978 under the name of American College of Optics. Originally the school focused only on optical dispensing. The school remained a little-known entity running classes from its locations in downtown Los Angeles at 4021 Rosewood Avenue and [Anaheim] at 1200 North Magnolia Avenue until the approval of the vocational nursing program in 1994. In the fall of 2008, American Career College opened a new campus in Ontario at 3130 East Sedona Court which held classes for both American Career College as well as West Coast University. Approximately 500 ACC students were relocated from the temporary campus located in Norco. The Long Beach campus opened in December 2012, and is housed in the Arts Building, an iconic construction of the 1930s. It is located in the heart of Downtown Long Beach. As Chief Executive Officer of American Career College and Board member of West Coast University, Mr. Pyle shapes and leads these institutions which serve thousands of students seeking to better their lives by advancing their education and pursuing careers in health care. Mr. Pyle strives each day to inspire his team to help students succeed in school and gain transformational skills to last a lifetime. Mr. Pyle acquired American Career College in 1978 and under his leadership. ACC has become one of the largest educators of vocational nurses in California and graduates thousands of students each year into high demand health care professions.